Num num num! 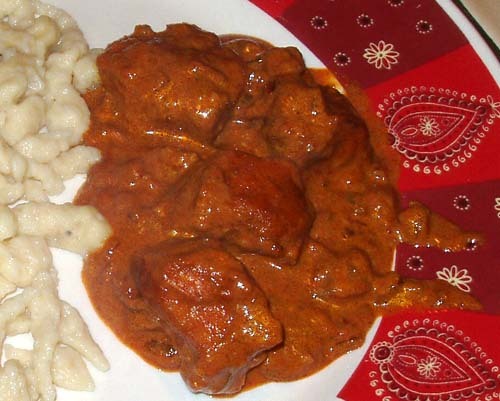 This is the food of my dreams – ironically, I made Chicken Paprikash the other night, but had it with egg noodles instead of spaetzle. Seeing your shot of the two together is giving me dining envy – I adore spaetzle, so now I’ll have to make some using your recipe. Thanks for the inspiration!